Betty Grable's photograph was made into a poster and became the most requested pin-up by G.I.s serving overseas, eventually surpassing Rita Hayworth’s iconic bedroom picture of 1941. Elizabeth Ruth Grable was born in St. Louis, Missouri, on December 18, 1916. Her father was a stockbroker, and her mother, Lillian Rose Gable, was a “stubborn and materialistic” woman who pressured her youngest daughter to become a performer. Betty was enrolled in dance school at the age of three, and was entered in several beauty contests where she did quite well in spite of a lifelong fear of crowds. In 1929, about the time of the great Wall Street Crash, the Grable family took a holiday to the West coast, and Lilian got it into her head that she and Betty should remain in Hollywood when the rest of the family returned to St. Louis. Her mother lied about Betty’s age to get her a job in chorus of “Let’s Go Places”, but her true age was discovered after the first show and she was fired. Sam Goldwyn hired Betty in 1930 to be one of his “Goldwyn Girls”, an ensemble which included future stars like Lucille Ball and Paulette Goddard. The Goldwyn Girls appeared in the mega-hit Whoopee! (1930), the film that made Eddie Cantor a movie star. In 1932, Betty was signed to a contract with RKO Radio Pictures, and the studio assigned her to acting, singing and dancing classes. Her first credited role was in Probation (1932) when she was 14, but for the next few years she was assigned to minor, uncredited roles in some rather big films. Eventually she was given bigger parts in The Gay Divorcee (1934) and Follow the Fleet (1936) starring Fred Astaire and Ginger Rogers. In 1937, Betty wed Jackie Coogan, who had been a child star during the Silent Picture Era. Coogan had also been pressured by his mother and stepfather to perform. He eventually sued his parents to recover his earnings which they had squandered on diamonds, fur coats and expensive cars. His mother stated “No promises were ever made to give Jackie anything. Every dollar a kid earns before he is 21 belongs to his parents. Jackie will not get a cent of his earnings.” The stress of the suit took a toll on the young couple, and Betty and Jackie divorced in 1939. Before the split, the couple starred together in the campus B-movie Million Dollar Legs (1939). The only thing memorable about the film was that it gave Betty a nickname that would stick with her for the rest of her career. After the divorce she considered returning to a simpler life, but took a chance on Broadway, starring in the musical comedy DuBarry Was a Lady with Ethel Merman. After the play she was branded as a new found star. Twentieth Century Fox offered her a long term contract and gave her the lead in Down Argentine Way (1940) with Don Ameche and Carmen Miranda. The part had been intended for Fox’s reigning star, Alice Faye, who bowed out with an unspecified illness. 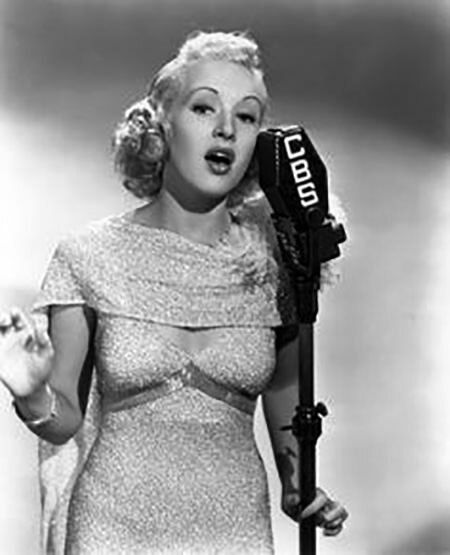 Next, she worked in Tin Pan Alley (1940), costarring with Ms. Faye. There were rumors circulating of a rivalry between Faye and Grable, based on the established star losing her place to an up and comer. In fact, the ladies were good friends and admirers of one another. 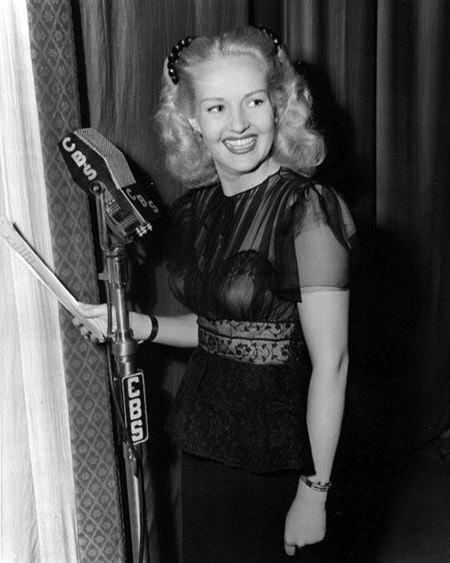 It would not be the last time publicity departments would take advantage of a supposed rivalry with Betty Grable. I n 1943, Grable was voted the year’s top box office draw over Bob Hope, Gary Cooper, Greer Garson, Bogie and Clark Gable. It was the same year that the famous pin-up poster came out, which certainly helped her popularity at the box office. The pin-up also made her popular on AFRS favorites like Command Performance and Mail Call. The folks back home got to hear a lot of her in support of her films on movie anthology programs like Lux Radio Theater, Screen Directors Playhouse and The Gulf Screen Guild Theatre. Betty married trumpeter Harry James in 1943, after working with him in Springtime in the Rockies (1942). The couple had two daughters, but the marriage was marred by alcoholism and infidelity. Her star continued to rise through the 40’s, although there were a few hiccups along the way, such as The Beautiful Blonde from Bashful Bend (1949), a Western send-up that even Betty badmouthed. In 1955, Betty signed on to star in How to Be Very, Very Popular with the understanding that her friend and Fox’s current top money-maker, Marilyn Monroe, would costar. Marilyn was not happy with the script, however, and dropped out of the project. The film was hyped but flopped because of a lack of chemistry between Grable and Sheree North, Monroe’s replacement. 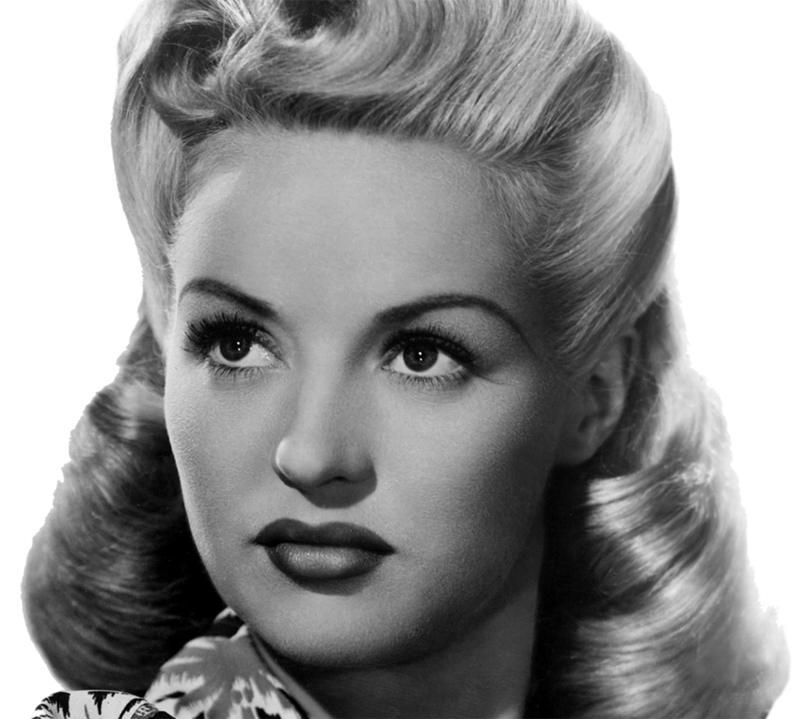 It would be Betty Grable’s last film. Betty and Harry James divorced in 1965. In 1972, she discovered that she had lung cancer and died of the disease the next year. She was 56 years old. Dorothy Lamour, Mitzi Gaynor, Alice Faye, Don Ameche, Cesar Romero, George Raft and ex-husband Harry James attended her funeral. A Star on the Hollywood Walk of Fame at 6525 Hollywood Blvd honors Betty Grable’s contributions to Motion Pictures. Be the first to comment on "Betty Grable"